When you make arrangements with a Provider, you may want to bring someone you trust along with you. Making arrangements can be stressful. You may welcome the help and support of a family member or friend. 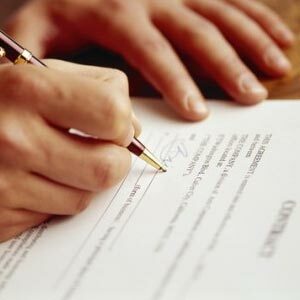 Once you choose the services and supplies you want, you will be asked to sign a contract with the Provider. – Any other payments (for newspaper notices, police escorts, honorarium for religious officials, etc.). The contract should also include taxes to be paid and tell you if the Provider is receiving any commission or benefit from other parties for recommending them to you. Note: At the time of purchase, the Provider must disclose to you that if, at the time of need, the supplies and services you have contracted for are not available, then supplies and services of equivalent value will be provided without additional cost. By law, you may cancel your contract at any time before the services or supplies have been provided. – The amount of your refund will depend on when you cancel and whether the Provider has incurred costs. You may cancel contracts for interment and scattering rights and receive a full refund of the amount paid within 30 days if you have not used the rights. After 30 days, you will get a refund of the amount paid, less the amount paid into the cemetery’s care and maintenance trust fund. – A certificate of interment rights or scattering rights once these rights are paid in full. The certificate must include the name of the person who can legally authorize an interment or scattering.